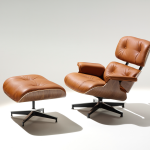 DesignApplause | Lounge chair and ottoman. Charles and ray eames for herman miller . Lounge chair and ottoman. 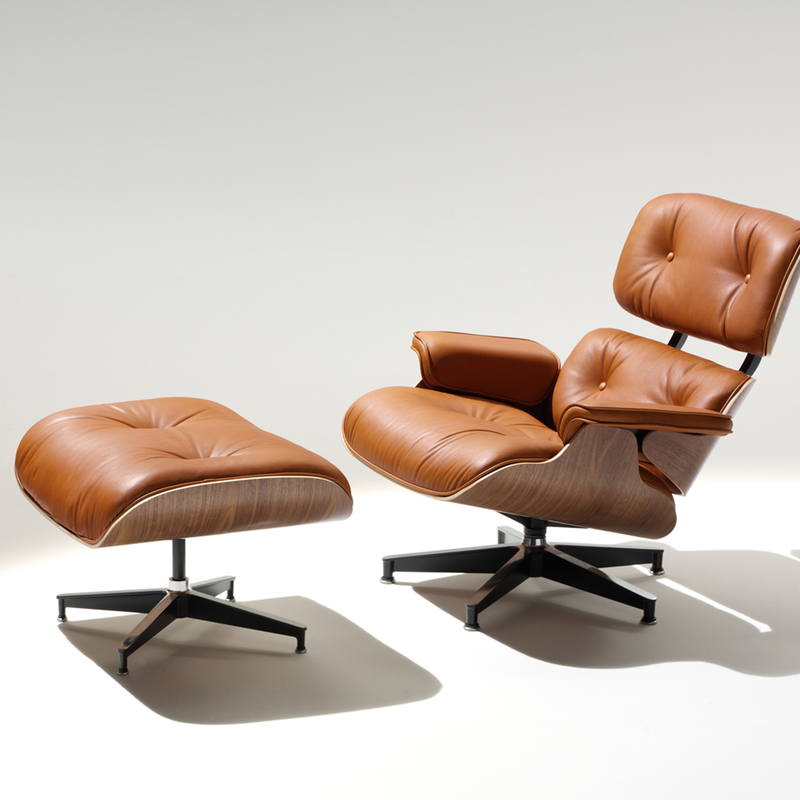 Charles and ray eames for herman miller . 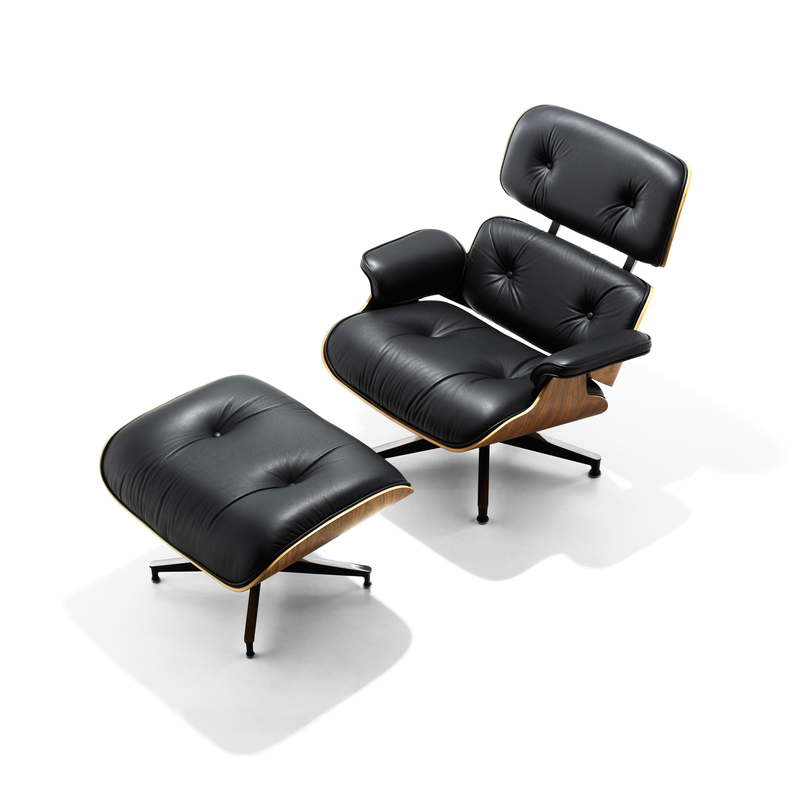 Charles and Ray Eames made the lounge chair and ottoman as a gift for their friend Billy Wilder, the director of “Some Like It Hot” and “Sunset Blvd.” When Vitra began manufacturing the set in 1956, they maintained as much of the hand-craftsmanship as was possible with mass production. 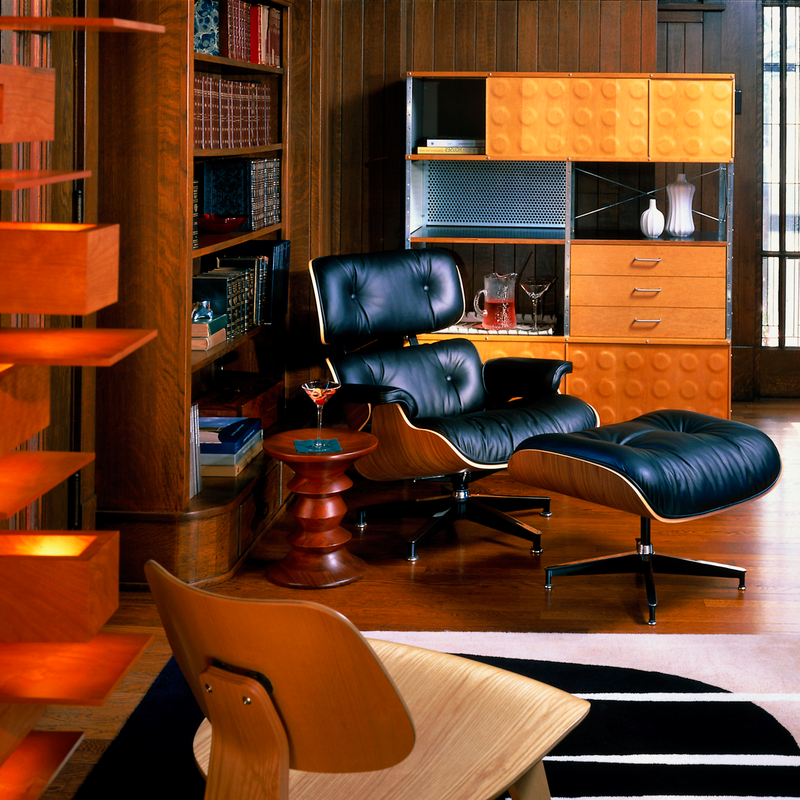 Throughout the Eames/Nelson era, they came closer than anyone else to incorporating craft ideals into the mass production of furniture. Charles and Ray Eames had ideas about making a better world, one in which things were designed to bring greater pleasure to our lives. 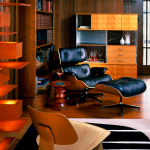 Their iconic Eames Lounge Chair (1956) began with a desire to create a chair with “the warm, receptive look of a well-used first baseman’s mitt.” In continuous production since its introduction in 1956, the Eames Lounge Chair is widely considered one of the most significant designs of the 20th century. 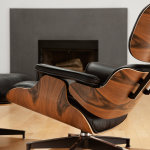 Pairing soft, inviting leather with the sleek form of molded wood, this set was the culmination of the Eameses’ efforts to create a club chair using the molded plywood technology that they pioneered in the ’40s. Entirely hand-assembled out of parts that are fully replaceable by Herman Miller, the timeless Eames Lounge Chair and Ottoman is constructed to last lifetimes. 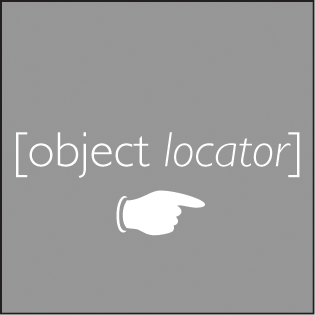 This original is an authentic, fully licensed product of Herman Miller, Inc. Eames is a licensed trademark of Herman Miller. Made in U.S.A.
· materials: Seven-ply walnut, santos palisander, ebony-stained ash or white ash veneer; molded plywood frame; Edelman® All-Grain, Spinneybeck® Vicenza or Herman Miller leather upholstery; urethane foam padding; die-cast aluminum braces; stainless steel glides.